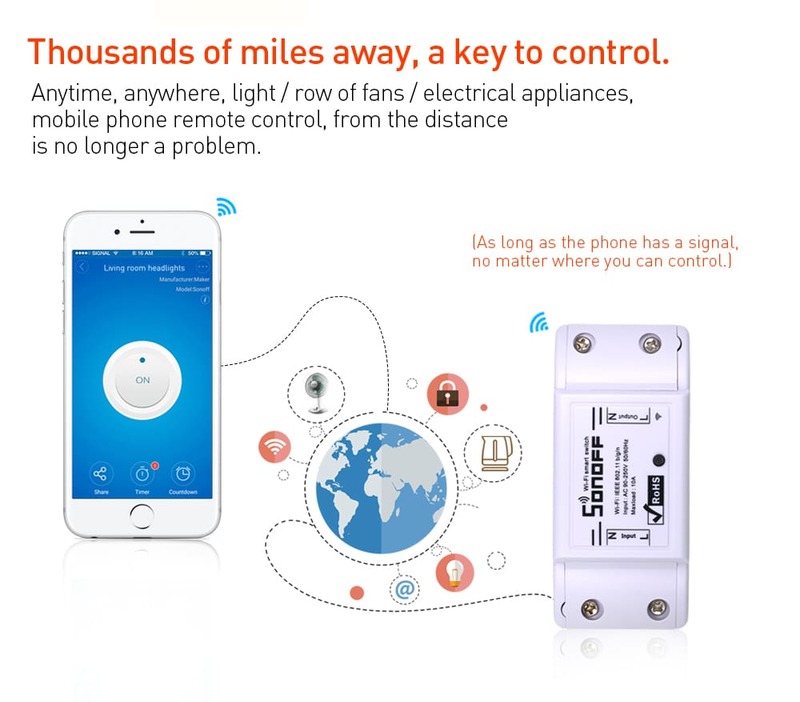 Remote on/off electrical devices on/off from Anywhere. App support ios and android mobile app. Real-time device status provided to AppTiming. Set scheduled/countdown timers to turn on/off at specified TimeShare. 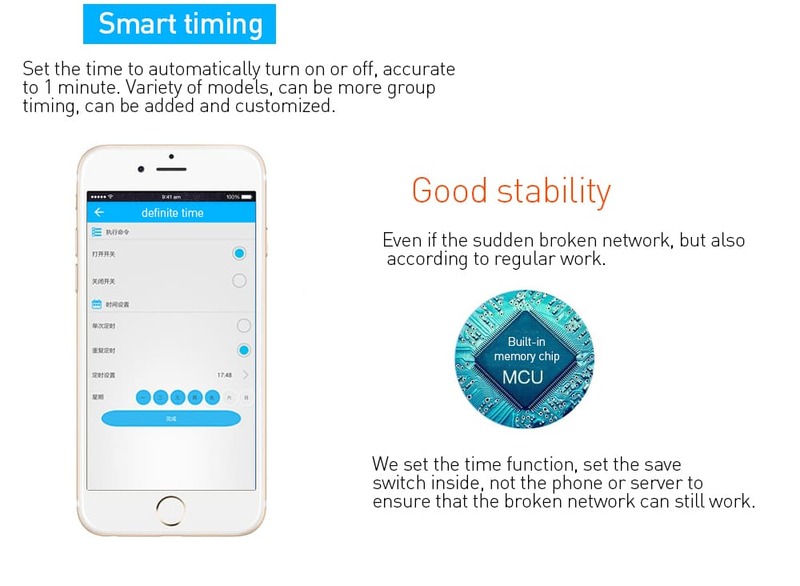 Control your smart home together with your FamilyScene. 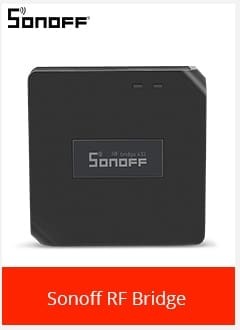 Turn on/off a gang of devices with one TapSmart. 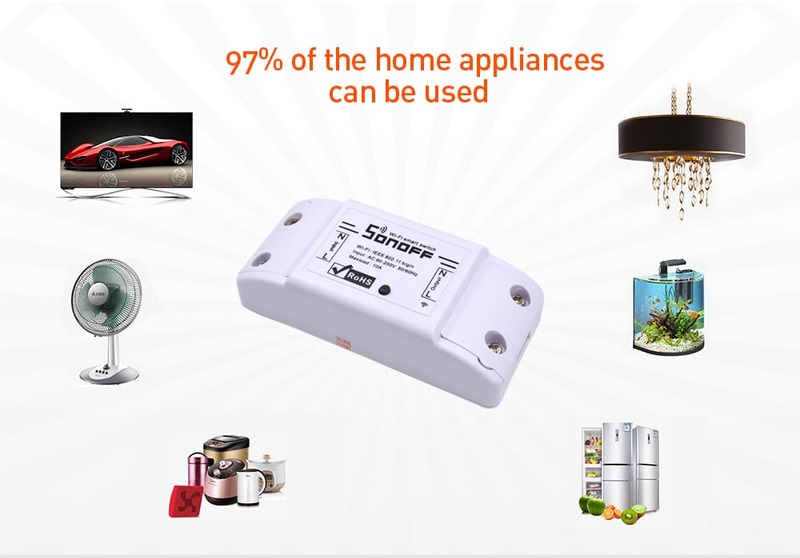 Scene trigger on/off by temperature, humidity or other environmental. 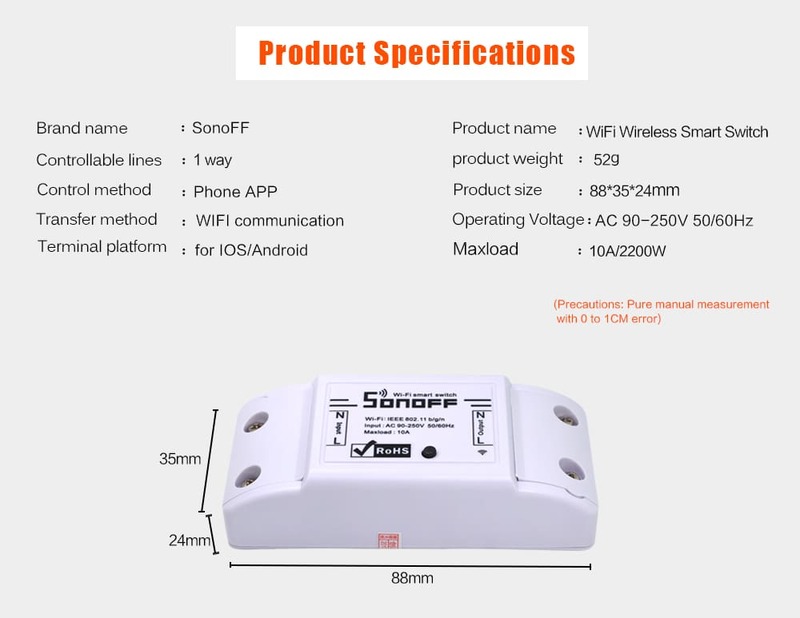 Support control electrical devices over wi-fi or 2/3/4g Mobile Network. 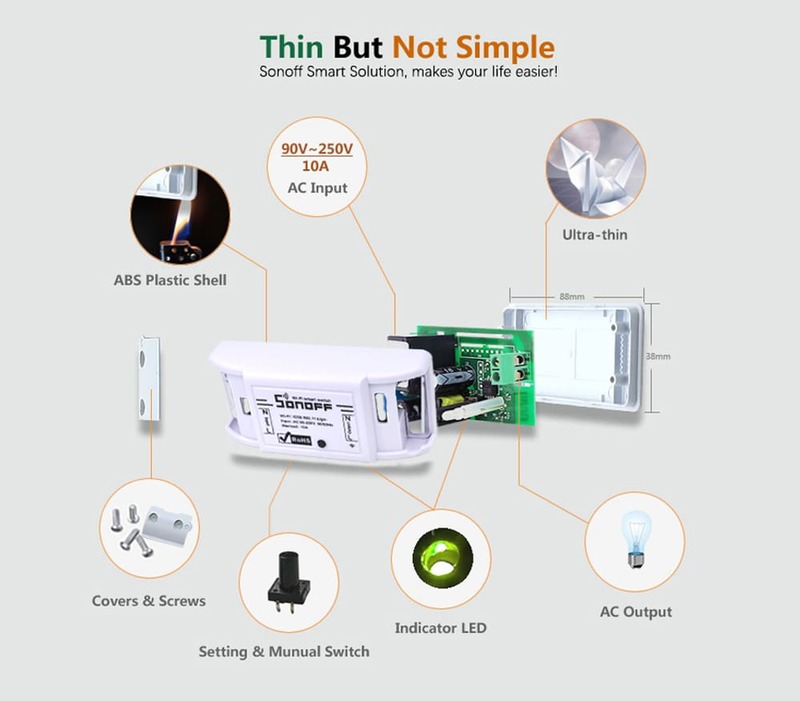 Can we use for a single led light? 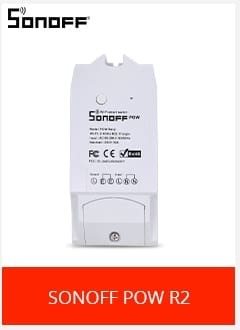 Yes it can be used with single led light. I want to schedule its timing to switch off by sing board. 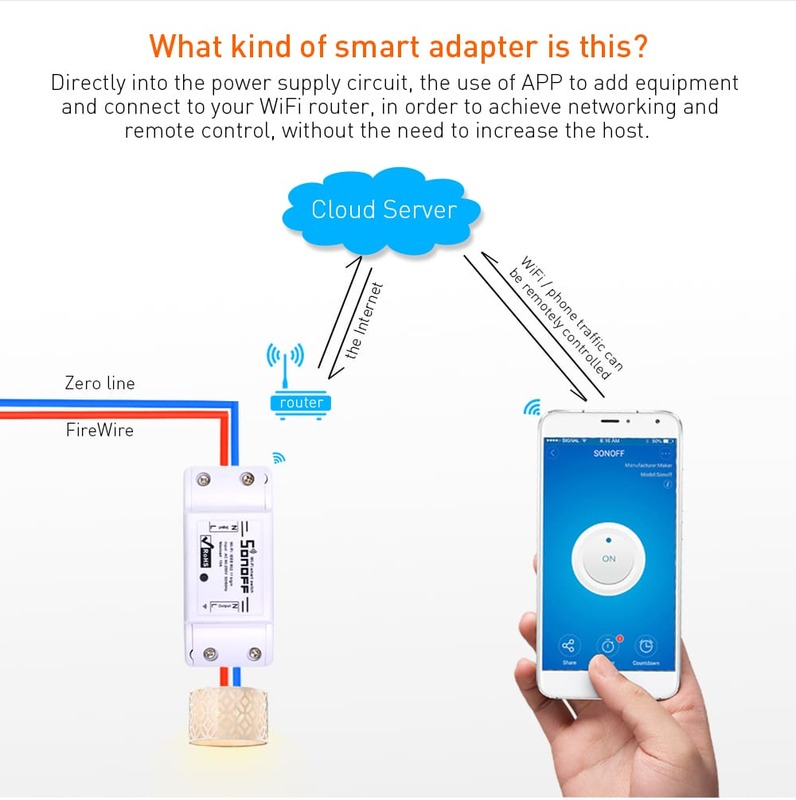 Is there and hinderance if there is any power failure? According to my notice when ever there is powerfailure The system reboots itself and therefore it requires a manual restarting to facilitate its working back to normalcy again. Can this be set manually as timer to swich on and off at defenite intervels ? 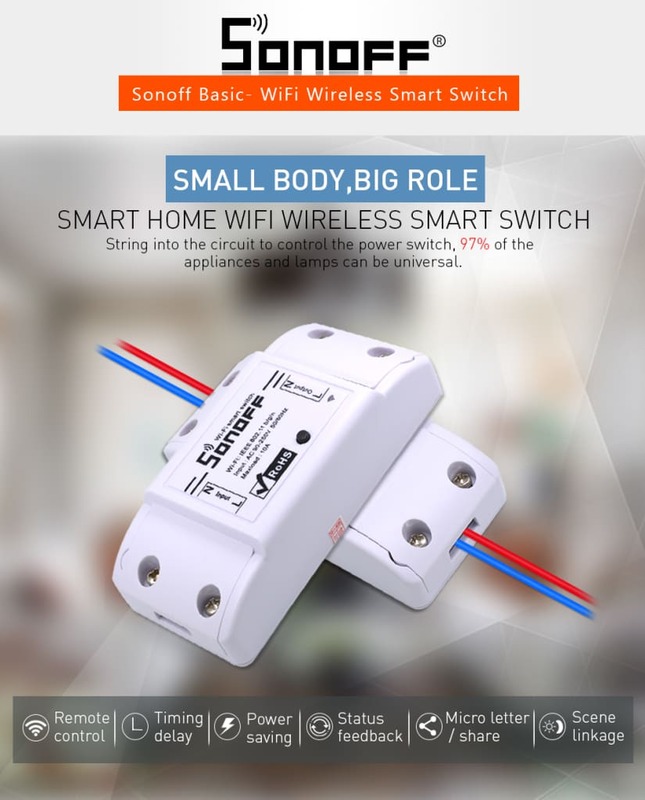 Can i contact 3 or 5 switch on Same wifi ? Does it works for manual switches ? This device does not support manual operation. 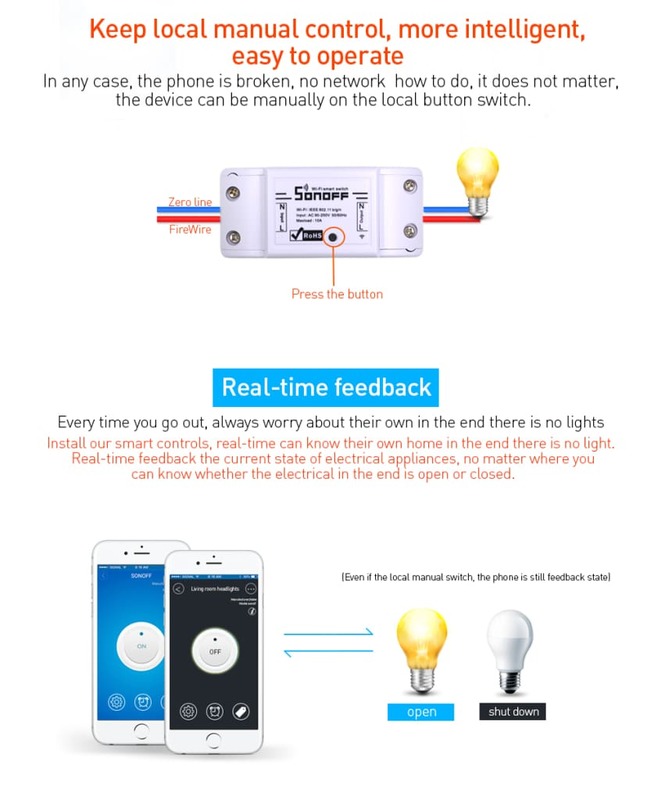 You can consider IoTMATE v2b instead which integrates manual operation completely with the online framework. 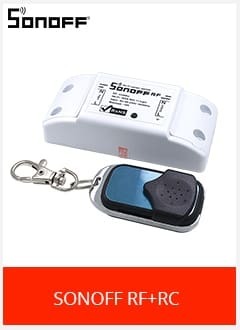 Can i use this to control my ceiling fan? Yes. Definitely you can use it. 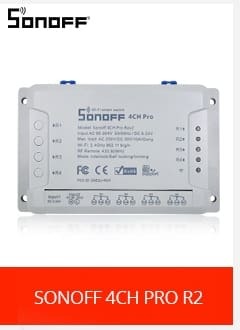 Sonoff output cable connect to regulator input.